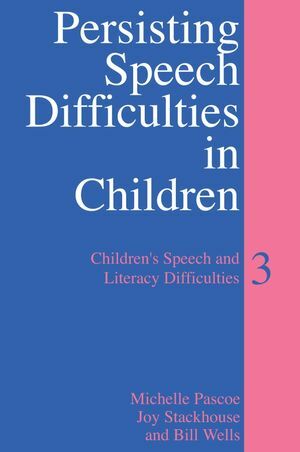 This is the third book in the series “Children’s Speech and Literacy Difficulties” and is based on research and practice with school-age children with persisting speech and associated difficulties. It focuses on the psycholinguistic nature of their difficulties, how to design intervention programmes, and how intervention outcomes might be measured. It will serve as a practical handbook and will contain usefuls word lists, tips and photocopiable sheets in the appendix. Each chapter will summarise recent research findings and close with a bulleted summary of the main points in the chapter. Provides an explanation of the psycholinguistic approach and how to implement it, and integrate it with other approaches. Dr. Michelle Pascoe: ESRC/MRC Research Fellow. All at: Department of Human Communication Sciences, University of Sheffield, U.K. Appendix 7: Pro-forma for describing therapy tasks.